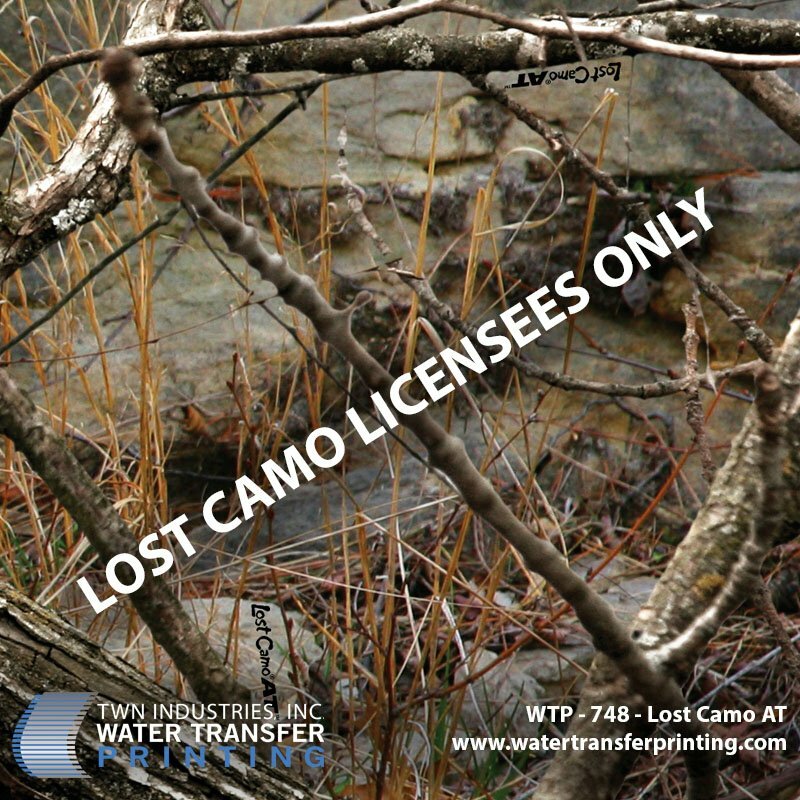 PRINCETON, FL October 31, 2013 – TWN Industries Inc., the leading water transfer printing supplier, announces the release of Lost Camo AT® hydrographic film. The design has enjoyed a great deal of success as the official camo of Mission Archery®. By taking the multi-directional foreground of the original Lost Camo,® and putting an “All Terrain” background behind it, Lost Camo achieved a versatile pattern that gets “lost” in just about any natural setting. A variety of color palettes and shades combine to portray various textures that will blend into everything from Midwest woodland to open plains, southern backwoods, western pines and mountain ranges. Lost Camo AT® strikes the perfect balance between high contrast textures, shadows and open spaces, all in a uniquely multi-directional orientation to create not only one of the most 3-dimensional patterns in the camo industry but also one of the largest. Lost Camo® has always served the archery industry extremely well. The addition of Lost Camo AT® to our hydrographic film selection allows our customers to ‘get lost’ in a wide variety of landscapes, making it a tremendously beneficial tool to have on your side, “stated Mike Richards, Director of Business Development at TWN Industries. 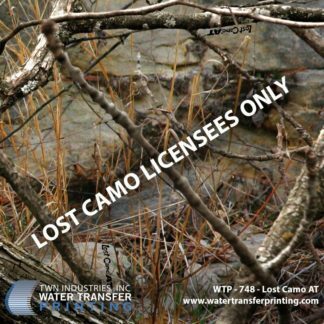 The Lost Camo AT (All-Terrain)® water transfer printing film pattern is available through TWN Industries, Inc. Three-meter accessory packs and production quantity films are available immediately. The part number is as follows: Lost Camo AT: WTP-748.